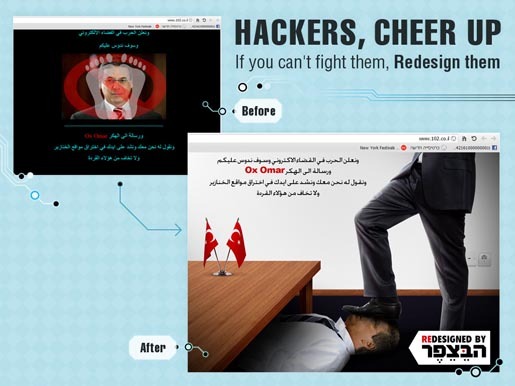 Habezefer School of Art and Advertising has come up with a creative response to the hacking of Israeli websites by Arab hacker groups. 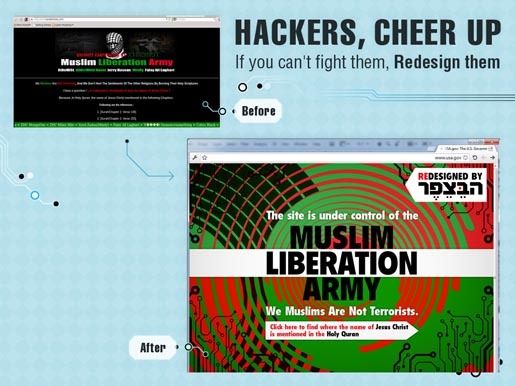 They noticed that all the hacker groups designed their anti-Israeli web pages with the same ugly template: black background, poor choice of fonts, and low-res photos sourced from Google image search. 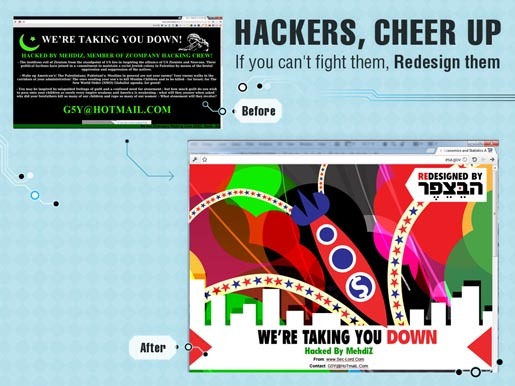 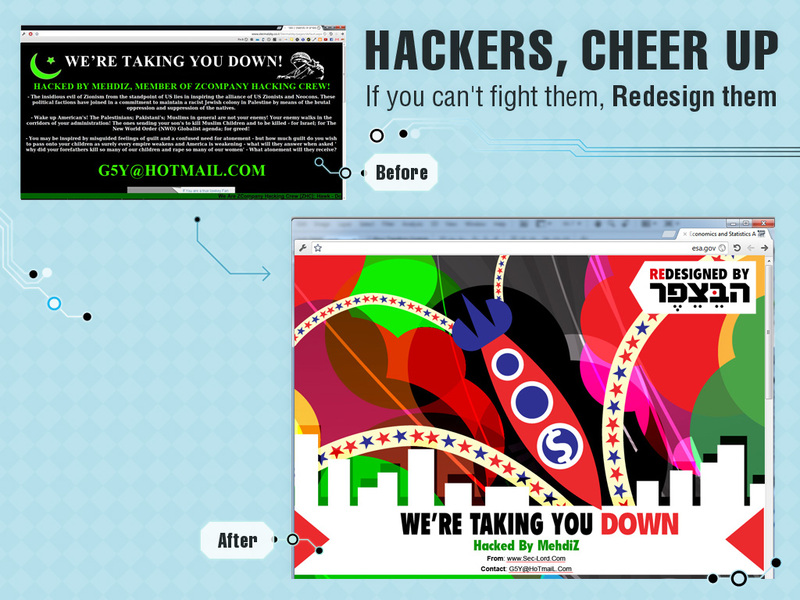 Students collected 50 sites planted by hackers, redesigned them, and sent them back to the hackers by email and through group forums. The Better Looking Hatred campaign was developed at McCann Digital Israel by VP creative Nir Refuah, copywriter Tal Schweiger, art director Nir Hersztadt.